Mohamed is a Blockchain enthusiast who is passionate about Blockchain technology and committed to help growing the Blockchain ecosystem in Canada and around the world. 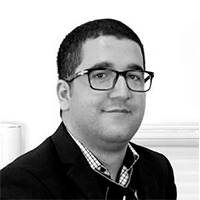 He has over 11 years experience in finance, marketing, education, hospitality, product design, big data analytics and strategy with well renowned organisations. He is a strong critical thinker and has a passion for innovation. Mohamed is very active in the Blockchain space. 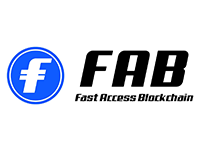 He is the CEO of Fast Access Blockchain, he leads the strategic initiatives at The BlockchainHub and also led the C-Lab incubation program, the first peer-to-peer community based incubation program for Blockchain startups. He was also a mentor at the Blockchain for Social Impact Hackathon, the first international decentralized impact accelerator, where teams around the world solved challenges around financial inclusion, supply chain, identity & vulnerable populations and energy & environment. His research is keenly focused on the intersection of Blockchain with other technologies, what he likes to call “The Autonomous Revolution”. This has lead him to be the program manager of the Certified IoT Professional, Certified Ethereum Developer and Certified Blockhain Professional courses at The BlockchainHub – York University.